Yes, I did watch the Super Bowl today, and enjoyed some fine hand stitching time! I am handquilting this love hand pieced Drunkard's Path quilt for a friend. For now I am just stitching in the ditch around the white pieces. When I am done with that I will likely quilt something in those areas, and just leave the blue. We'll see. She said that she knows the only way this quilt will be finished is if someone else does it! I certainly know that feeling, and I may have her machine quilt some of my finished tops in exchange or they may meet the same fate. I'm going to have to work on my quilting callous, though - my underneath fingers are a bit sore from such a long quilting session today! I also worked on my embroidery for the cover of my quilter's planner - just a bit more to go and I'll be ready to sew that together, and I guess I'll have to look for the other pillowcase to work on. I've been working on the stain on the first one and it's faded a bit, but still obvious. I've had some great suggestions for getting that out, and I feel pretty confident that something will work. I have lots of sewing to work on this week so I'm going to spend some time planning out my week and setting some goals. 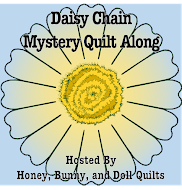 My quilting projects are taking over, and I need to get them under control! 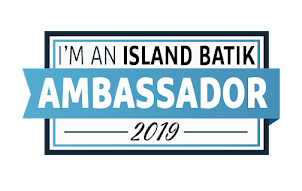 Hope your week is awesome - I know mine will be because I suspect the new Ambassador Box from Island Batik will be arriving, and I just can't wait to see what is in it, so exciting! Linking up for Slow Sunday Stitching! Hand quilting for a friend? That certainly is a labor of love! When I start a new hand quilting project, that underneath finger gets very tender. I use that green can of bag balm. It is for cow udders but is good for those tender fingers. Put it on at night and in the morning after a couple of days...no more ouchy!! !